Without wishing to sound too wilfully contradictory, Robert Gesink is an interesting rider for how boring he is. A man who has finished fourth and sixth in the Tour de France and who has three top ten finishes in the Vuelta a Espana is clearly among the very finest riders in the world. 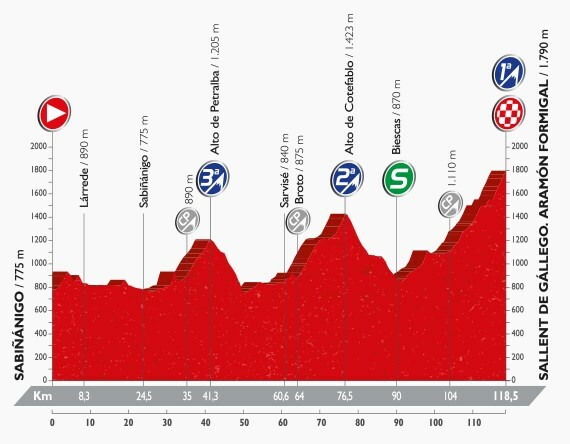 Except that before stage 14 of this year’s Vuelta, he had never won a single stage in a Grand Tour. Most of the main contenders pulled variations on the move ‘have team-mates further up the road and ride up to them’. The most successful exponent was Simon Yates. He attacked the favourites on the penultimate climb, cadged a lift with a series of men wearing the same clothing as him and then pushed on alone to gain just over a minute on Nairo Quintana and Chris Froome. For his part, Quintana attacked a lot and on each occasion Froome followed. The Colombian knows he needs a bigger gap before the time trial on stage 19 (Friday), but he’s struggling to shake his gaunt, gangly shadow. The other striking development was Alejandro Valverde’s body finally saying enough is enough. The Spaniard was on course to be the first man in over half a century to secure top ten finishes in all three Grand Tours in the same year, but it all went wrong in the mountains and he lost ten minutes. When Valverde loses time, it does tend to be on stages featuring very long climbs and after racing the Giro and Tour, he simply can’t have much left in him. “Really I’ve run out of strength, it wasn’t just a bad day,” he said – which is fair enough. He’s done astonishingly well to get this far. He’ll look to complete the race, but he’s just going to try and help out Quintana however he can from now on. 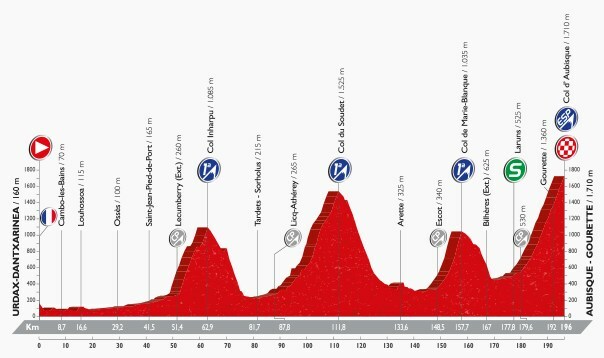 The climbs aren’t mega-hard, but it’s the shortest stage of the race, which opens up the possibility that they’ll go hell for leather from the off. Summit finish, obviously. Today’s stage term is ‘volcanic chimney’ – the route lava takes through a volcano, basically.